A report in the Washington Post says Amazon is considering pulling out of a deal to build its New York City headquarters, due to opposition from state and city elected officials who represent the Queens district where the company wants to build. Governor Andrew Cuomo, in a speech to a business group on Long Island, says his Democratic colleagues in the state Senate are to blame. The Deputy Majority Leader of the Senate, Michael Gianaris, who represents the Queens district, is against the deal, saying the multi-billion dollar company does not need state subsidies, and those local residents weren’t consulted. Senate Leader Andrea Stewart-Cousins earlier in the week appointed Gianaris to a key board that has oversight over approving parts of the Amazon project. Cuomo admits that the community surrounding the site is “nervous”, but he says the 25,000 jobs that Amazon has promised to create are worth any inconvenience. And he says Senators who are opposed to the project are engaged in “political pandering”. 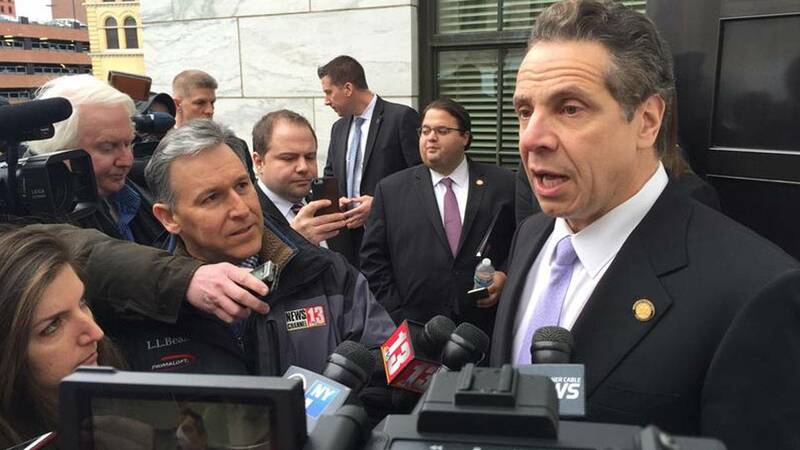 A spokesman for Senate Leader Stewart-Cousins called Cuomo’s pronouncements “fake news”. Spokesman Mike Murphy said “unfortunate that the Governor is trying to divide the Democratic Party at this crucial and historic time”, after the Senate in the past few weeks approved reproductive health rights, gun control measures, protections for transgender New Yorkers, and extended the ability of childhood sexual abuse survivors to seek redress in court.